Healthy eating at home is one thing. It’s easier when you’re in control of what’s available, but eating out, especially while traveling, can sometimes put a strain on our healthy eating habits. Travel and meals out are a part of modern life — and quite enjoyable, don’t you think?! (Maybe not so much with toddlers around!) So feeling confident and comfortable to make healthy choices with the options you’re given is an important skill to develop to continue your healthy lifestyle. If you’re having difficulty finding something healthy on a menu, don’t be afraid to ask for a modification. For example, if you’re at an Italian restaurant with a menu full of pasta dishes — consider substituting the pasta for broccoli or spinach. You still get the toppings and sauce, but without the plate full of refined carbs. I love doing this! 2. Don’t drink your kilojoules. This goes for anytime, but an incredibly simple way to make a small healthy shift is to choose water. It’s clearly the healthiest choice, but this doesn’t mean you can’t enjoy a green tea or the occasional glass of red wine alongside your water. Balance is everything, but water is the top priority. Avoid soft drinks and juices as they are full of sugar. Please, artificially sweetened soft drinks are even worse because they are full of toxic ingredients, avoid, avoid, avoid. 3. Peruse and choose beforehand. Deciding which of the meals on the menu are both tasty and healthy can be time-consuming and not the kind of thing you want to do while you’re in the restaurant. Nowadays most restaurants have their menu online, it is easy (and smart) to look at the menu of the restaurant before hand. From the comfort of your own home, you can research which of the meals is the healthiest, and you’ll be ready to order when you get there without studying the menu for ages and then making a rash decision that you regret later on! Choose the most nutritious meal you can and know that what you do most of the time carries more weight than this one meal. Choosing simple meals like grilled or roasted meat and vegetables with sauce or butter on the side so you can be in control of how much there is; eggs (cooked anyway) with vegetables; or a stir-fry with meat/tofu and vegetables (avoiding super sweet sauces can be tricky) can make it easier to eat healthy while you are out. Another of my favorite tips is ordering an entree as my meal with a side salad. (Dressing on the side please!) The amount of food you get with an entree and a small side salad is usually just the right amount – unlike the oversized portions with a mountain of chips that are often found on the main menu. 4. Prepare yourself before you go out. Or eat before treats. A good meal (lots of non-starchy vegetables with some protein and healthy fats) at lunch or before you go out can help reduce the temptation to eat sweets, cakes, lollies, or other non-healthy options. It also means you have eaten plenty of vegetables and healthy foods which will reduce the impact to you of any less than desirable foods you choose. If you do choose something that you don’t feel is healthy, please enjoy it guilt-free for what it is…and that is one meal out of the 21 you may eat in the week. So, as you can see, there are some simple hacks that can make a difference in the quality of food you eat while eating out. 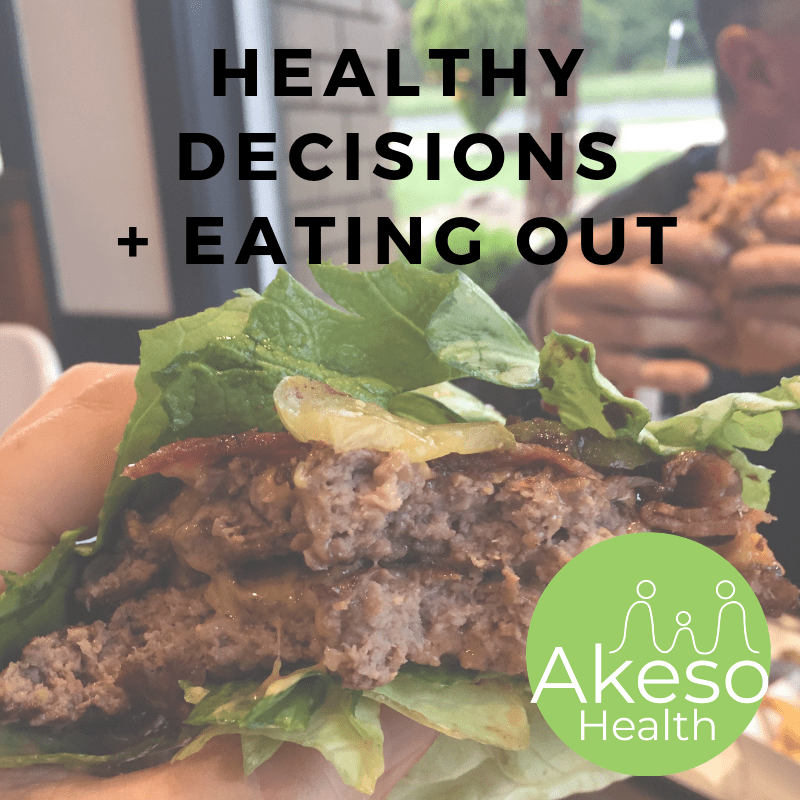 With healthy restaurants popping up everywhere, it is becoming easier and easier to find healthy options while eating out, so take advantage of that. What are some of your favorite healthy hacks to use while eating out? Please comment and let me know, I love to add new tips to my arsenal. If you feel confused about what to eat, when to eat, or any other aspect of eating for your best health, then please get in touch. If you or your children suffer from bloating, constipation, diarrhoea or Irritable Bowel Syndrome, then I would love to help you work out what foods work for you, those that aren’t and how to improve your gut health to increase the variety of foods you can enjoy. 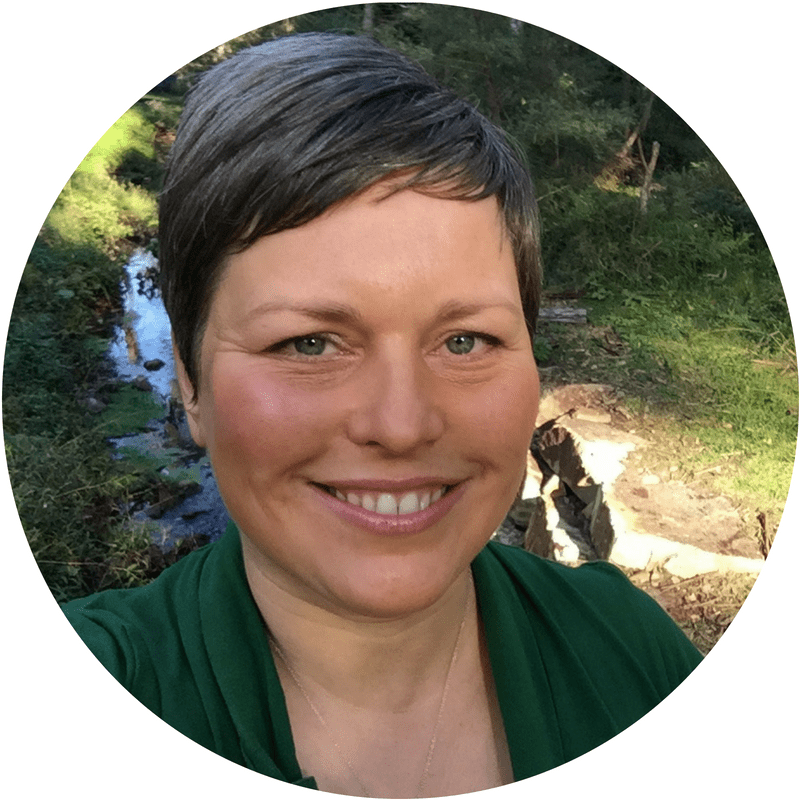 Visit the ‘Work With Me’ page for more information on how I work and to book your free 15-minute discovery call to ask me any questions you may have about me, the way I work, or naturopathy.